The Net Return Side Barriers with Sand Bags are a fantastic way to protect your environment. These give confidence to your practice knowing when you are working on the swing and trying changes that if that change does not work the side barriers take the impact, not the home ornaments. The Home Series Side Barriers are specifically designed for use with The Net Return Home Series Net. The Side Barriers ensure that mishit balls never leave the hitting area. 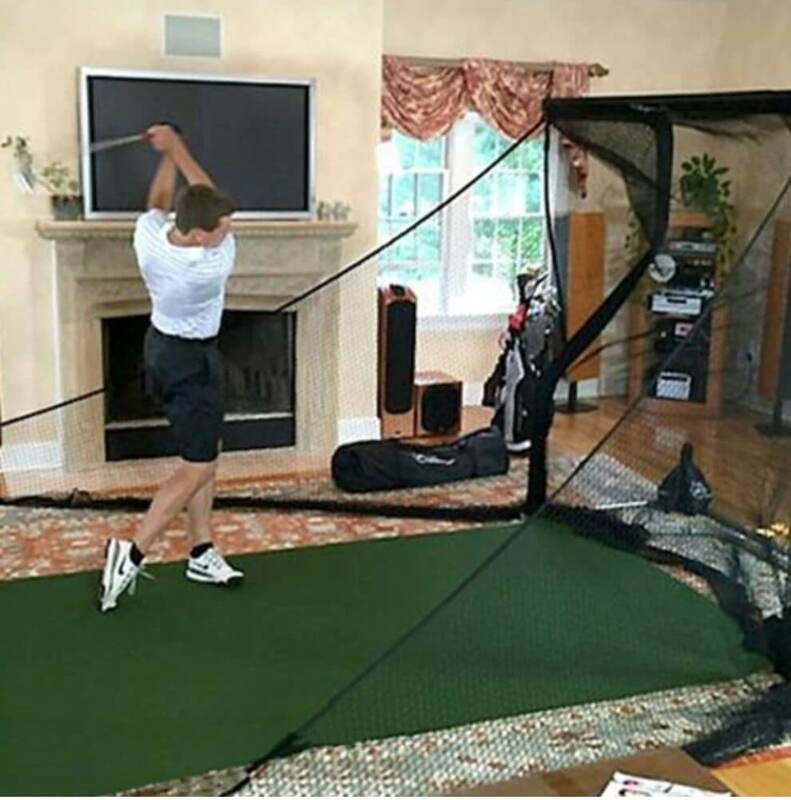 If using the Home Series net indoors or in an area where errant balls are a safety concern, the Side Barriers are required. Many golfers also choose to add the Side Barriers when considering “Friends and Family” hitting into the net. If you are an accomplished golfer or using the Home Series outdoors where safety is not a concern, the Side Barriers are not required. Understand also that the Home Series Side Barriers can be added at any time and are not required for use with the Home Series net. 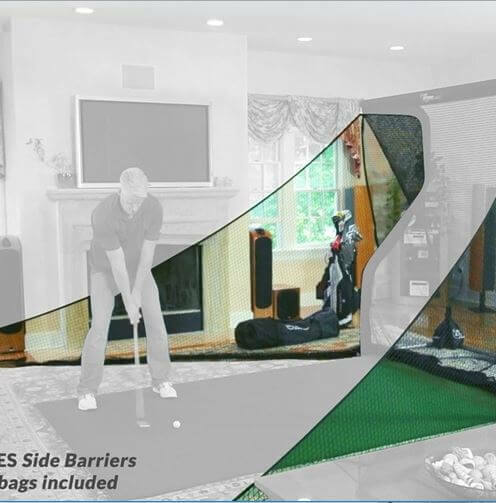 The Home Series Side Barriers are made of polyester netting, setup in under 5 minutes (using Velcro color coordinated tabs) and can be easily stored or transported in the Home Series duffle bag. Each Side Barrier is individually cut and sewn by hand. Each pair of Side Barriers weigh approximately 6 lbs., are 6’8” high and extend out to 9’ – 10′ in length. They are sold in pairs (right and left), can be extended straight out or setup on wider angles as needs dictate. Each set of Side Barriers are extended out by using sandbags, two are provided (one for each Side Barrier) and two on the rear of the frame. 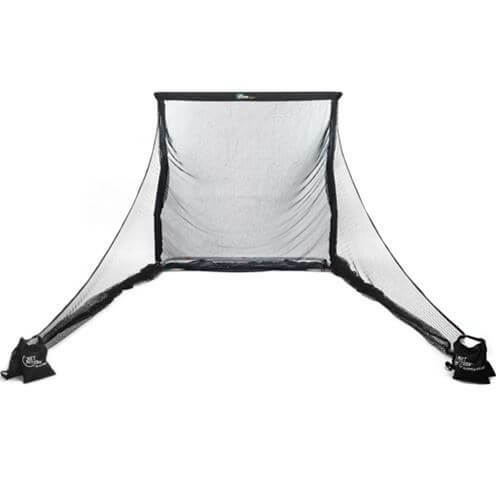 Remember your Home Series Multi-Sport Net comes with 4 Sandbags to weight down the existing base when outdoors in the wind. When extending out the Side Barriers to their max distance (approximately nine feet or so) you may also want to weight (sandbag) or stake the back of the frame. Extending the Side Barriers to their maximum distance can often lift the back of the frame off the ground by several inches. The weighting of the rear of the frame will eliminate this. The Side Barriers can be walked into the front of the frame when not in use, to recover any lost floor space. Simply pick up each sandbag, walk in and place on the side of the frame. It’s that simple.